Flour Craft Bakery in the news! “It led to a career change,” says Hardcastle...read more. Pastry has changed. It had to. As the eaters of the world shift their attention to low-carb, no-carb and onwards to ancient carbs, pastry chefs must adapt to the quirks and tendencies of the dining marketplace. 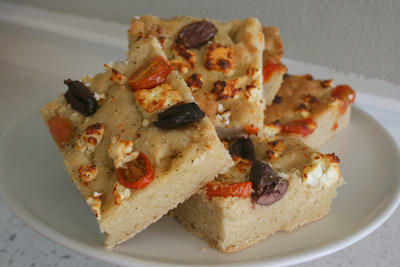 Into the pastry fray comes San Anselmo's gluten-free Flour Craft Bakery....read more. Heather Hardcastle’s gluten-free bakery items first launched at the Farmer’s Market at the Civic Center on Thursday mornings. 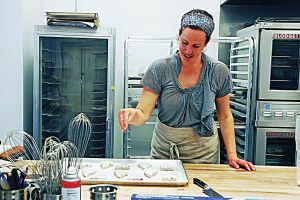 Her cutting edge baking enterprise took another giant step last month when she opened Flour Craft Bakery on a busy San Anselmo thoroughfare....read more. San Rafael resident Heather Hardcastle wants to offer gluten freedom to all. That's why the founder of Flour Craft Bakery, whose gluten-free breads and pastries have only been available at the Thursday Civic Center Farmer's...read more. Flour Craft Bakery at 702 San Anselmo Avenue, will offer breakfast pastries, desserts, fresh breads, cookies, cupcakes, seasonal pies and custom cakes. Lunch items will also be available, as well as single-origin coffee from San Francisco’s Sightglass Coffee and loose-leaf teas from Oakland’s Sky-Tea....read more. Flour Craft Bakery, the the first free standing 100% gluten free bake shop in Marin opened last week in downtown San Anselmo and we welcome it to the community. Flour Craft is selling more than their hand crafted granola found at most bay area gourmet markets...read more.